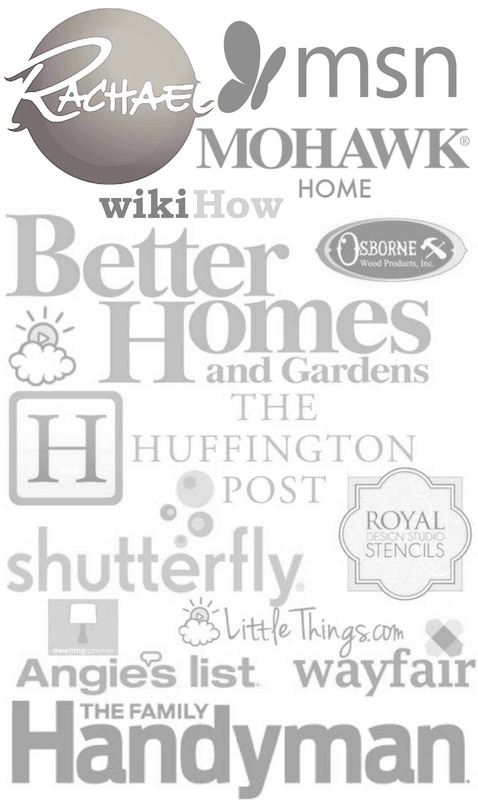 Become a subscriber, and you can have instant access to these template to use on your Silhouette to create your very own stencil. 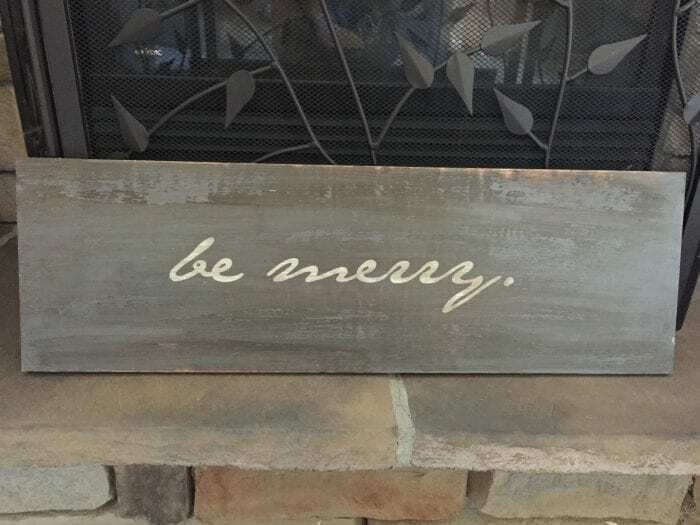 You will also have access to our “be merry” greeting below. 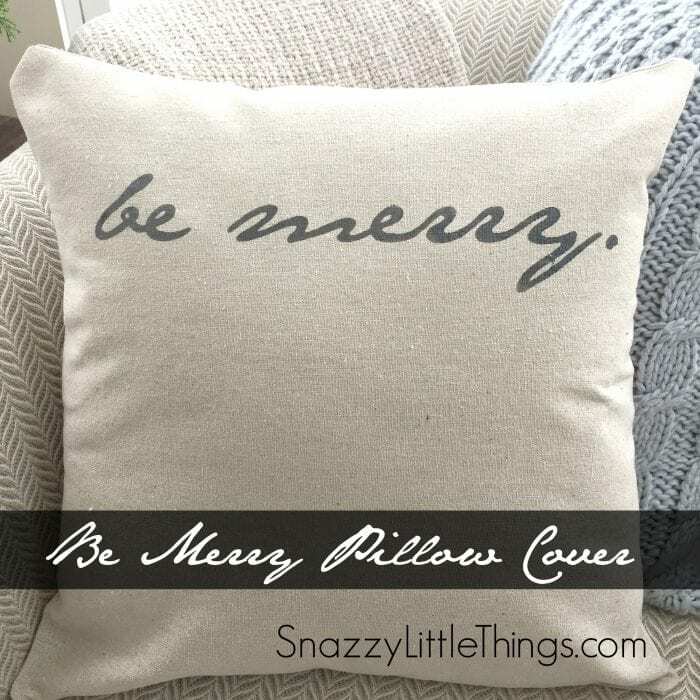 Pillow #2: “Be Merry” Pillow Cover. 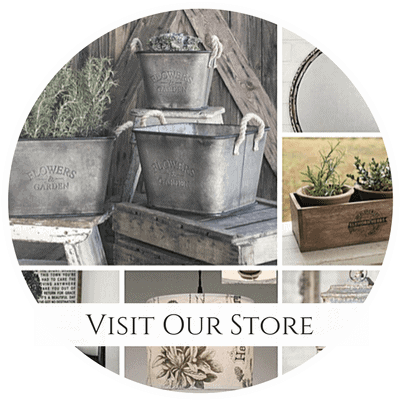 The process is very similar to the process I used to make my own farmhouse signs. 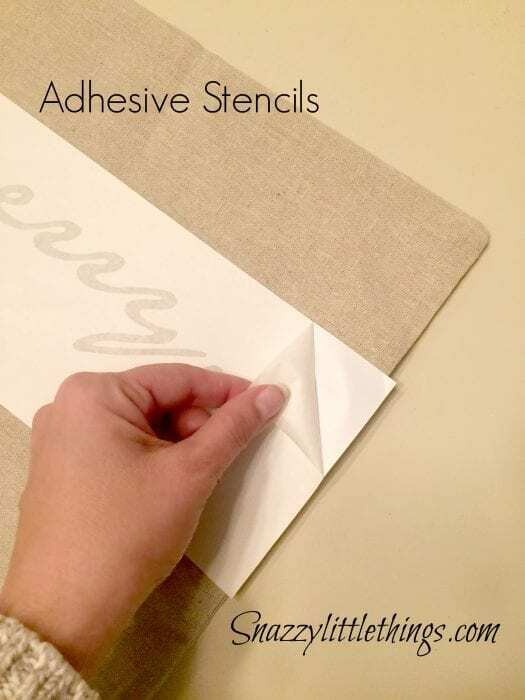 The contact paper adheres perfectly to the fabric. You simply press them down onto the pillow like a sticker, then peel the top layer off. 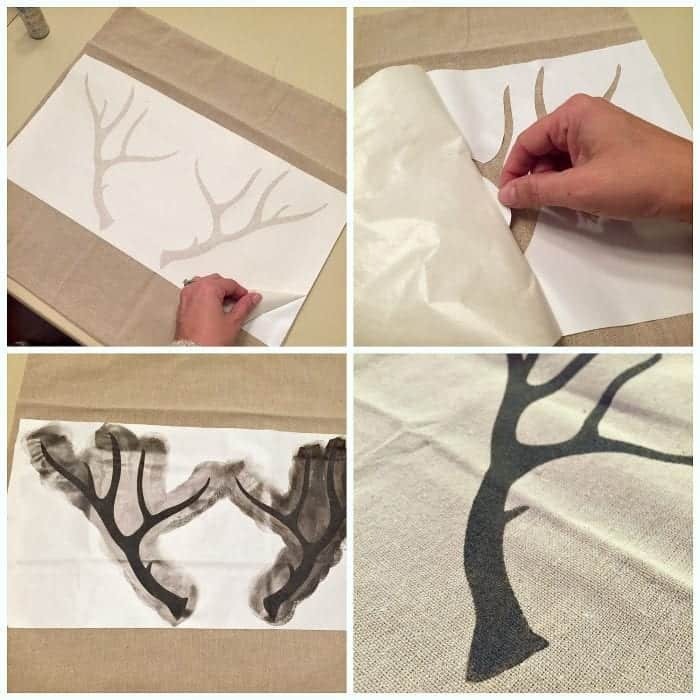 This is what makes the stencil look so clean and perfect when it’s freshly painted–even on fabric. 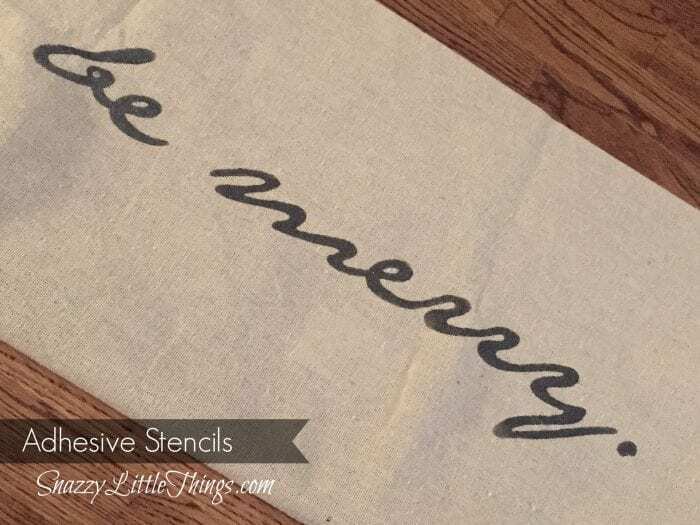 Place a plastic sheet inside of the pillow cover to ensure no paint bleeds through, and start stenciling. In my case, I used a light coat of craft paint in Platinum shimmer along with Martha Stewart Foam Pouncers. Be careful to not use too much paint. For this project I used the acrylic paint without the fabric medium, then I used and iron on the reverse side to heat-set the painted design. Once the paint is dry, I carefully peeled it off…and the paint looked as if had been printed professionally. No bleeding and no leaks under the stencil. I simply turned inside out and heat set the pattern, and I was done! I followed the exact same process for the antler pillow. 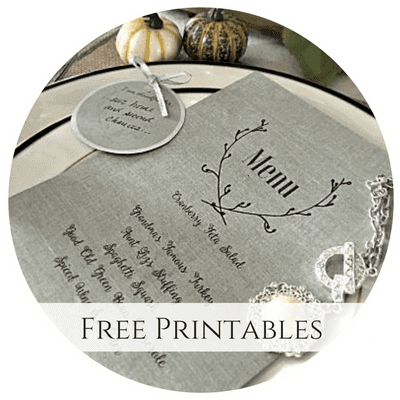 Once you’re a subscriber, you have access to all of our free printables. Enjoy! Oh I love, love, love your pillows Jeanette!! 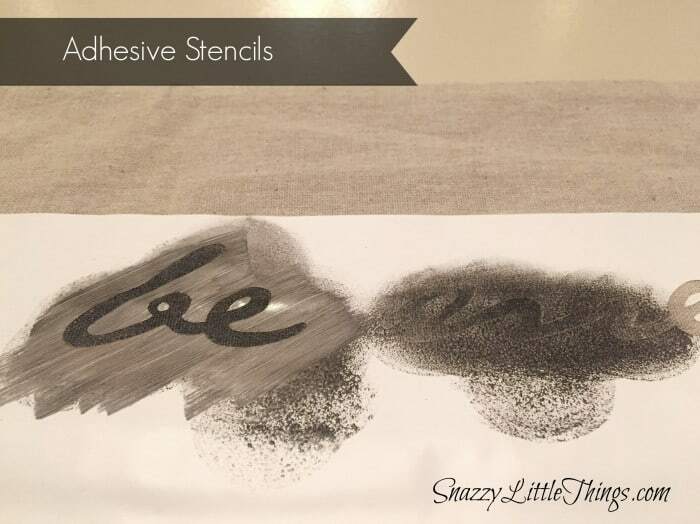 🙂 Those stencils are amazing…I am going to have to check them out! And Dria never disappoints either…that is fabulous! Cute and fun holiday pillows Jeanette. 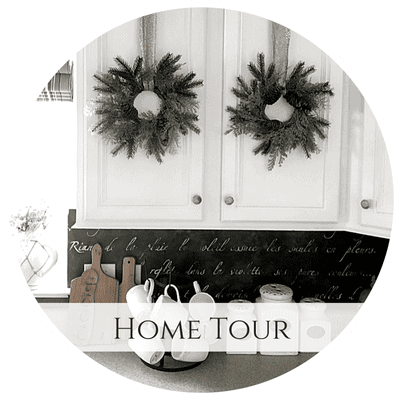 What a fun blog tour…off to see what everyone else made and received. The pillows turned out great and I love love the wordings. Lovely! Beautiful wreath as well from Dria! OMG Jeanette!! 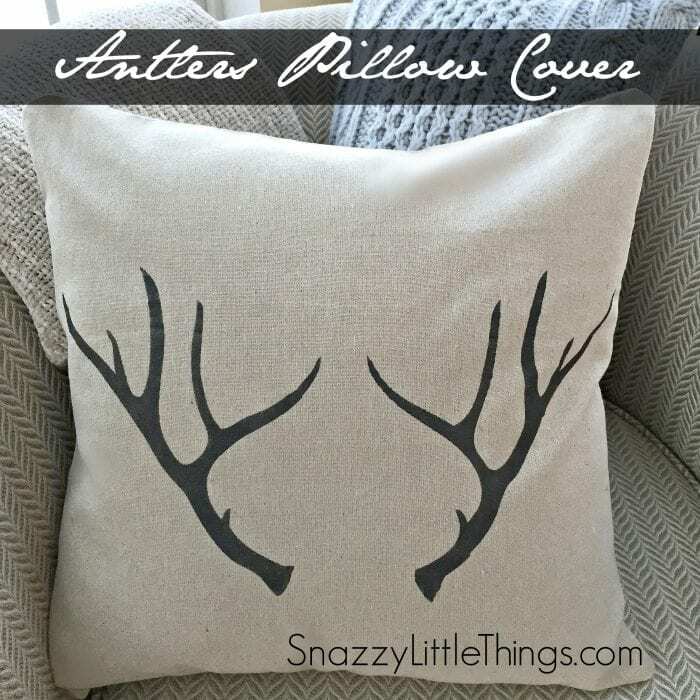 Those pillows are awesome I need to buy the antler stencil from you asap 😉 my house is all deer and owls this year, I clearly need one of those antler pillows! You did an amazing job! 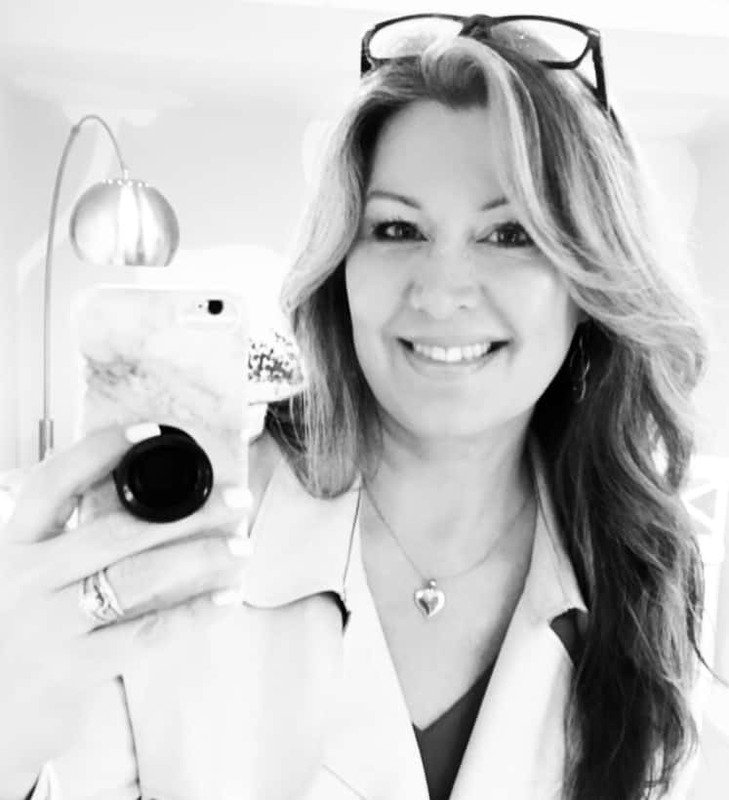 I loved making the gifts for you this year, your style is so close to mine it wasn’t hard to come up with ideas for your gifts! I love the pillow covers! Awesome stenciling job! I’m pinning for later. Have a Happy Thanksgiving! Your pillows are so beautiful! I love the be merry one the most! I definitely need to make a couple for my couch! This tour is knocking my socks off!!! Everything is so different and fabulous!!! Your projects are just beautiful as well as the lovely wreath from Dria!! Jeanette I be ordering some stencils for our home. I assume the stickiness. Is why the paint is so crisp. Your pillows and transfers are just beautiful, Jeanette. I LOVE the wreath! Perfect for your style and taste. As always, you did not disappoint.